Our residential screen cleaning company is Chandler, Arizona's first choice for residential window cleaning and screen cleaning services. Call AZ Window Cleaners today! Do you have window screens on your residential home in Chandler? Window screens are a great addition to your Chandler property because they allow you to open your windows and enjoy fresh outside air without the annoyance of insects and other unwanted visitors in your home. Screens in Chandler tend to collect dirt from our atmosphere over time causing them change from their original color to dirt brown. At AZ Window Cleaners our professional window cleaning staff will safely remove your screens and gently scrub both sides of your screens, rinse and wipe down the edges and reinstall. 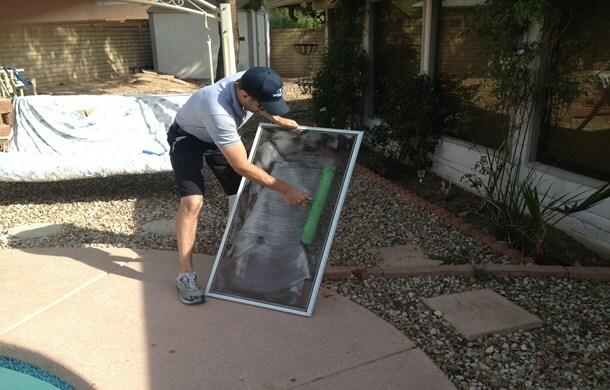 Screen cleaning at your Chandler property is a great addition to our regular window cleaning services since we already have to remove the screens to access the widows. Regular screen maintenance can also help extend the life of your screens by removing pollutants that can damage your Screens. Call AZ Window Cleaners for professional screen cleaning in Chandler, Arizona. Professional Screen Cleaning Company in Chandler, Arizona. 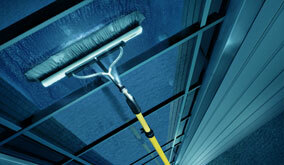 Call AZ Window Cleaners for residential window cleaning & screen cleaning services in Chandler! 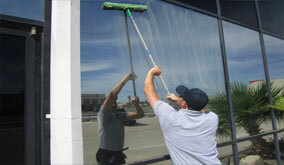 We are Chandler, Arizona's first choice for residential window cleaning services. Call today for a quote!